This article marks a return to my editorial content – occasional articles entirely based on my personal opinion. These are part of a series focusing on issues in the SFF niche. All content is entirely opinion of myself, not of SmallFormFactor.net, and should not be taken as fact. For years, I was a Micro-ATX SFF stalwart. I never truly believed M-ITX could offer all I needed in a system, with lackluster networking, audio and storage solutions, as well as just poor physical design. CPU coolers sat too close to RAM or expansion slots, minimal drive expansion was available, and the boards just looked… cheap. I also sat on the sidelines with the likes of dual-socket boards, offering me immense bang for my limited buck. It took until the Intel SandyBridge era before M-ITX truly grabbed my attention. Finally we could slot in a proper high performance CPU, to a board that had 4 (or more) drive ports, gigabit networking and even WiFi! 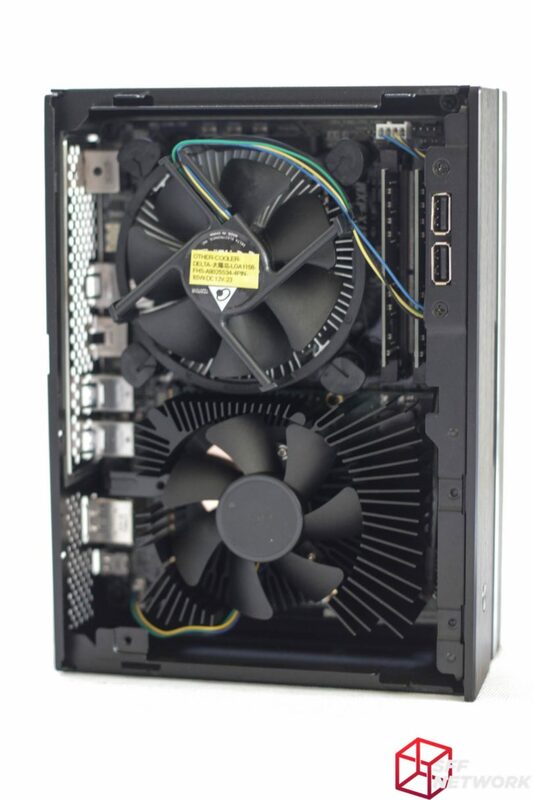 Following this, M-ITX has developed leaps and bounds, into the highly capable platform that has become a favourite of SFF’rs and regular users alike. However, a new platform has stolen my attention – STX, the descendant of Intel’s 5×5 form factor. STX encompasses two sub form factors – Mini-STX and Micro-STX. Much like USB, these Mini and Micro monikers are confusing as all hell at first, so let’s break it down. The pure descendant of Intel’s proposed 5×5 form factor, Mini-STX offers expandability not found in other boards this small. What once was the realm of embedded solutions, now has the option of upgradeable storage, processors and memory. The boards measure 140 by 147mm and require specific cases to house them, however, various manufacturers have created products to fill this void. Due to the minimal size, regular RAM DIMMs are not possible, so laptop style SODIMMs are the norm. CPU upgrading is easy – a regular desktop is present on this form factor, albeit limited in power delivery. However, with the latest generation i7-8700 rated at 65 Watts, this isn’t as big a deal as one would think. With today’s M.2/NVMe storage, 2.5 and 3.5″ hard drives are becoming obsolete, so moving to a smaller form factor is more possible than ever. Just slot in a price competitive (to their 2.5″ counterparts) M.2 SSD and you’re good to go – no cables… at all! There’s one major caveat with the Mini-STX form factor – GPU performance is limited. Because you can’t just slot in a GPU, you’re stuck with the relatively poor performance of Intel’s integrated graphics. Why Intel? 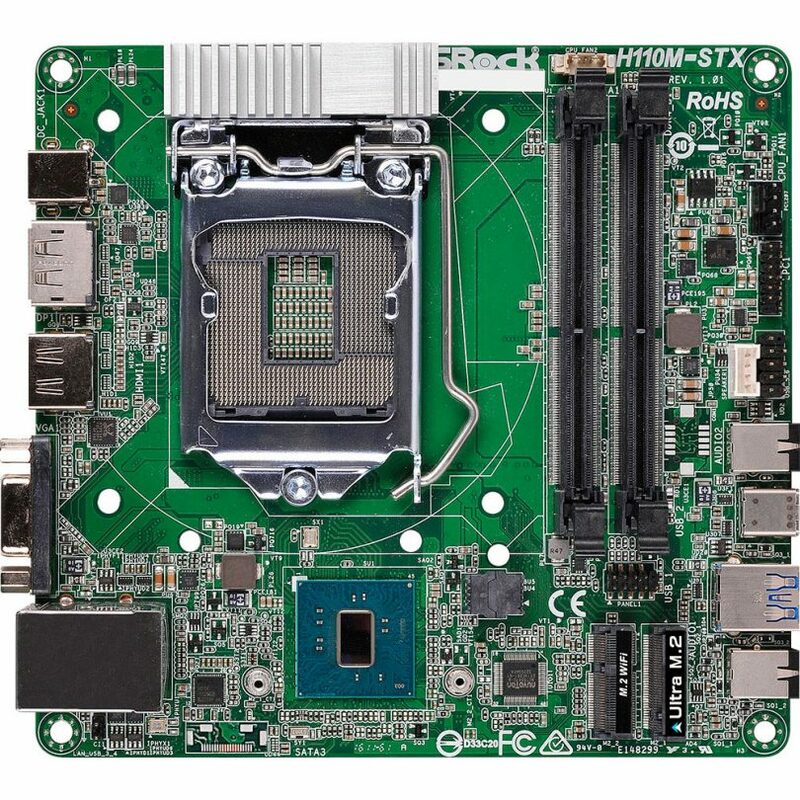 Well, nobody has yet produced a Mini (or Micro) STX board that takes AMD’s APUs – a shame, considering the comparatively stronger graphics performance of those products. Such a board would make Mini-STX a much stronger platform in my opinion. ASRock, known for various industry shaking SFF creations (namely the X99e-ITX/ac and X299e-ITX/ac), threw a curveball at the market a year and a half ago, launching the first generation Micro-STX boards, with design aspects from the laptop world making an appearance. 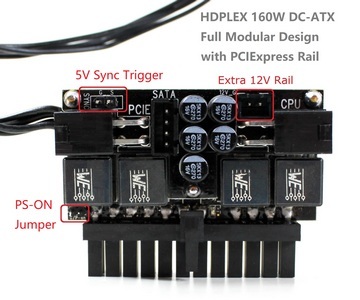 By stretching the 140 x 147 mm Mini-STX out to 188 x 147 mm, the addition of a MXM format graphics card slot was possible – something not seen on even larger boards! MXM wouldn’t be such a big deal until recently, though, as for years, AMD and NVIDIA have struggled to match desktop-grade performance on the form factor. However, with lower manufacturing process nodes and better chip design, we are able to get full, desktop-equivalent performance from MXM. Whilst this has been a boon for laptop manufacturers, it also enables ultra small gaming and workstation performance in other systems, such as ASRock’s DeskMini GTX/RX and Digital Storm’s Project Spark. Another useful addition to the form factor is the ability to add a few more M.2 slots – 4 on ASRock’s solution, in fact – 3 for storage and one for WiFi. 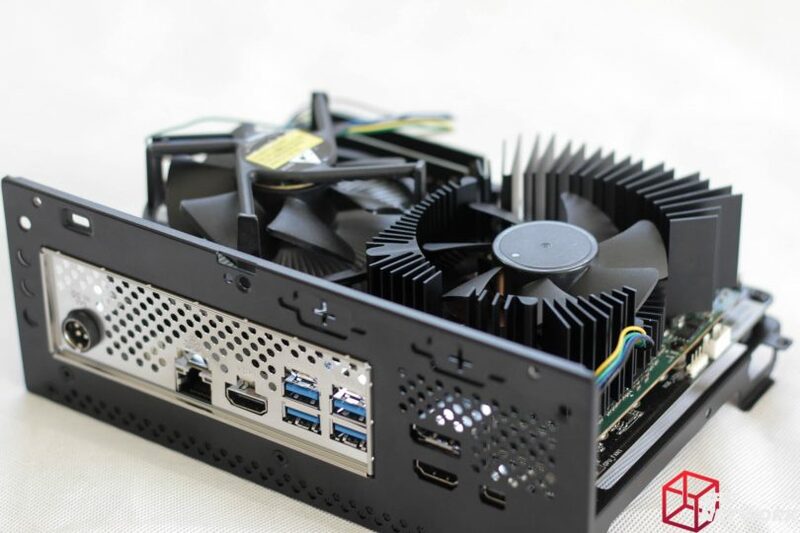 Recently, ASRock sent us the DeskMini GTX 1060 to review. I liked it so much that I moved from my Ryzen 5 1600X, Biostar X370 ITX motherboard, Sapphire R9-270X Vapor-X “passive mode”, in a custom painted NCase M1 to the DeskMini. The diminutive size, no cable mess, and subtle styling has taken centre stage on my desk. With no sacrifice in performance, I’m able to run my 27″ 1440p monitor in games, produce content and edit images on a system the size of a good book. Customising the DeskMini with a 2.5″ hard drive to go along with a 2.5″ SSD (I’ll go NVMe one of these days…!) has enabled content production on par, or even more efficient than my previous, larger, desktop. The only caveat I have run across with the system is IO ports, or lack thereof. However, careful planning and moving to wireless peripherals has solved this problem quite well – and cleaned up my desk considerably. Even 3 years ago, when we launched SFF Network, I didn’t believe we could go this performance dense, this quickly. We had high performance CPUs, yes, and fantastic boards that could take high core count processors, but the GPU side of things held us back from the ideal package. The development of the STX ecosystem has changed this, and as one of the strongest supporters of small form factor computing, I think it’s fantastic. What we need now is more development, more products, more options. STX is my new personal favourite ecosystem. Note that I mean personal opinion here – my reviews will as always be unbiased! Thoughts? Discuss them in the forum. I have a small wishlist for STX, and here is a good a place as any to put them out there!